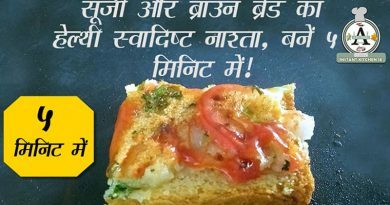 We are providing here recipe and video for Masala Chaas – a healthy food in which you will found step by step method to make appetizing delicious Masala Chaas (Spiced Buttermilk). Masala Chaas (Spiced Buttermilk) is a flavoured Indian buttermilk with mouthwatering and yummy properties to serve after lunch or dinner in various families of India and other countries specially in summer season. Nowadays, Masala Chaas (Spiced Buttermilk) has become a common beverage or healthy food in Indian Wedding and function menu. Indian masala chaas is the ideal summer drink! It is made from yogurt, water and some spices, it’s not only light healthy drink but refreshing for you! Masala Chaas Recipe is an energizing summer coolant and the easiest and fastest making summer health liquid food and the healthiest chilled liquid food made by using yogurt and fresh basils. Chaas is a normal term using for buttermilk and masala chaas is a spicy buttermilk made using fresh basils, green chilies and essentially added is black salt. A delicious, healthy cool drink made from curd (yogurt) and spices such as ginger, green chilies, cumin powder (jeera), curry leaves (kadi patta) and black salt, chaas or buttermilk has a lot of health benefits. Useful in soothing the stomach after a spicy meal: This healthy drink is an ideal to soothe the stomach and it relieves the stomach’s irritation triggered due to highly spiced foods. Get rid from fats and oils: Buttermilk is really beneficial in washing down the fat, oil or ghee that generally coats the inner walls of your food duct and stomach. Helps in digestion: Ginger, pepper and jeera are together act as an outstanding digestive agent. 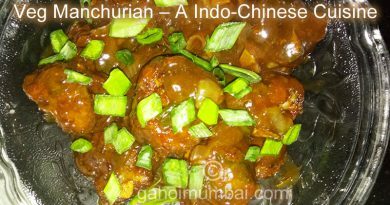 The ginger, pepper and other spices in the chaas are improving digestion and thus stop burping. Helpful in dehydration: Chaas with salt, water, curd, and spices to make a yummy drink with health benefits. Due to plenty of electrolytes and water, chaas is the best option in fighting with dehydration. Get calcium without the fat: Buttermilk is beneficial for Lactose intolerant people (those who cannot take milk) to take natural calcium without fat. Buttermilk is perfect diet for lactose intolerant people in getting dose of calcium without causing an adverse reaction. To avoid vitamin deficiency: Buttermilk is a good source of vitamins like vitamin B complex, proteins and potassium. Vitamin B, mainly riboflavin, is crucial for the conversion of food to energy, secretion of hormones and digestion. Chaas is a good healthy drink to beat diseases due to vitamin deficiency. Reduces high blood pressure: Buttermilk has a unique bioactive protein which has cholesterol-lowering, antiviral, antibacterial, and anticancer properties. As per scientific studies, drinking buttermilk considerably lowered blood pressure, if had on a daily basis. Brings about a drop in cholesterol: If you are suffered from high cholesterol and want to lower it naturally then you take a glass of Chaas daily. 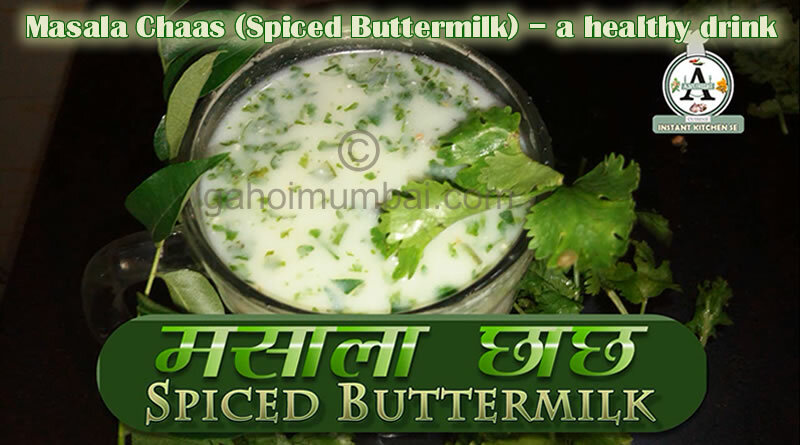 Chaas or buttermilk is remarkably control your cholesterol levels. Helpful in fighting with acidity: Chaas is useful in acidity problem. Masala Chaas has essential ingredients like pepper and ginger that help beat the burning feeling you sense during a bout of acidity. The masala chaas cools the stomach and reduces the irritation in the stomach lining due to acid reflux, giving you relief from the uneasiness. Overall, Indian masala chaas has a lot of health benefits in consuming daily basis. ← After Baahubali I realised power of post-production, reveals Sharad Kelkar! 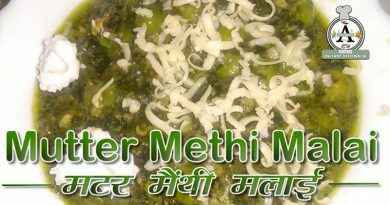 Mutter Methi Malai – a main course cuisine and its instant recipe with video!